It seems that Good Smile Co. are on a mission to announce more Nendoroid pre-orders than anyone can hope to keep up with. Today sees the reveal of brainiac cutie-pie Futaba Sakura, computer genius and alleged "Best Girl" from Atlus RPG soap-opera, Persona 5. Standing at a dinky 100mm, Futaba is rocking her classic "Summer clothes/Winter coat" aesthetic and comes with a selection of fun accessories. Packaged with a computer keyboard, mobile phone and cup of noodles, the shy-but-driven keyboard warrior is ready to take down any conglomerate who threatens her posse, The Phantom Thieves. 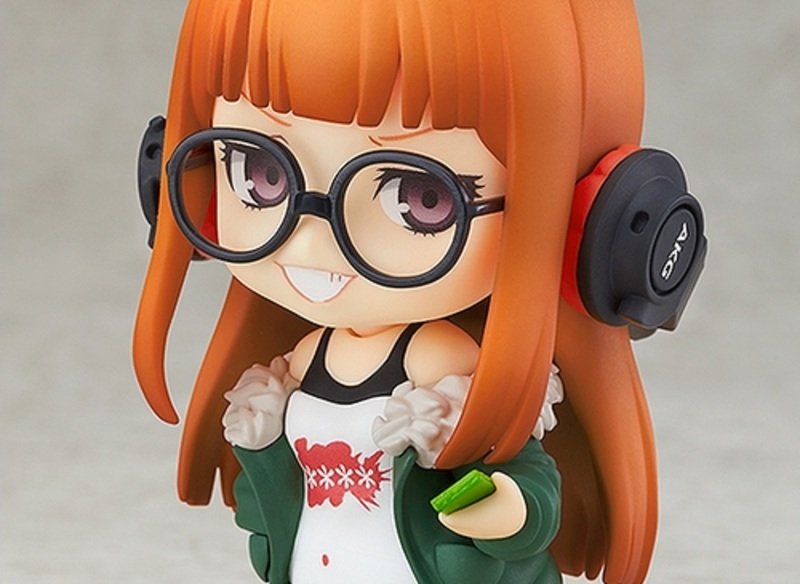 Futaba features three face plates, so you can adorn her with a cute smile, a sneaky grin or a sad face. Who the hell would give her the sad face? Alternate arms are also included for a selection of poses. If that isn't enough, a tiny Morgana is also included, ready to send you to bed, or overly-analyse a television show, at a moment's notice. Nendoroid Futaba Sakura is available for pre-order until August 5 at Good Smile Co. at a cost of ¥4,630, or around $43 USD. Futaba should be shipping out in December.